Happy New Year! Have you already broken some of your resolutions? Have you picked your word for the year? I gave up on New Year resolutions years ago. I just don't have the will power it takes to stick with them. But a few years ago, I picked a word to guide me through the year. It kept me motivated when I felt like giving up. It's one New Year's habit that has stuck. Last year, my word was SIMPLIFY. In 2017 I had a full time job, ran a business, baby sat every weekend and was very active in my writing chapter, I had very little time to write like I wanted. When I did have time, I was too exhausted to do it. I was spread so thin that I wasn't doing anything right. So my word for 2018 was simplify. And I did. I closed my business. Took a couple of weekends off from babysitting to work on writing and cut back on the things I volunteered for. The only new thing I took on was to write a novella as part of the Christmas Town Anthology. And can I be completely honest? It scared me to death! I hadn't seriously worked on writing in months. What if I couldn't finish it? 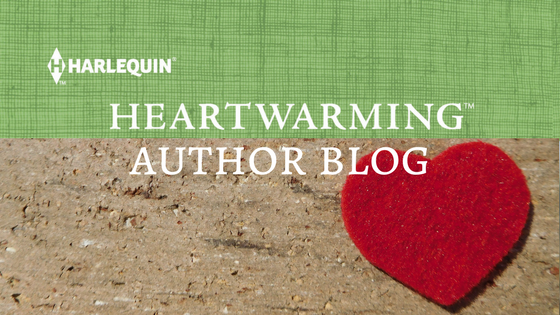 What if my sale to Harlequin Heartwarming was a fluke and I'm a really horrible writer? But guess what? I did finish it. And I had a blast doing it. And you know what I learned? I could do it. I also remembered why I wanted to be a writer to begin with. I didn't have time to stress over the story or re-edit the first chapter ten times. I just had to write it. And it inspired my word choice for 2019. RISK TAKING. This year I'm NOT going to be so worried that my book isn't good enough that I don't send it in. I'm not going to get so caught up in making sure every thing is perfect that I never finish it. I'm going to take the time to learn how to do things like Canva and Fotojet. And I'm going to stop running from every workshop about marketing and learn how to get out there and promote myself. So what about you? What it your motto for 2019? What inspired it? And the book was good, too. I'm also someone who just seemed always too busy to make and keep resolutions. I like the idea of picking a word. Given the state of our old world, this year I think I'll choose "smile". I've noticed in being out at stores, etc, that people seem unusually stressed, and if I smile and maybe say hello, they respond and their frown fades. I am going to try it for the whole year and see if it makes me feel better, too. Happy writing! I like "Smile." If everyone tried it, imagine how much better the world would be! My word for the year is Try. I admire yours! Good luck with it. Like Roz, I loved that book! Ours are very similar! What is something new you are going to try this year? Go, LeAnne! Take those risks! I haven't chosen a word, but I'm leaning toward Balance. Because I haven't yet figured out how I want it all to fit together. I think balance is a wonderful word! I will keep that in mind next year. I may have to steal it!!! It's great when rediscover your love for something. 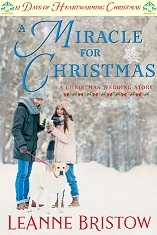 Your experience with the Christmas novella turned out to be pivotal for you. Love your 2019 theme...we couldn't be writers at all without taking some risks. Happy New Year! Yay LeAnne! I love your positivity. My word...Enjoy. I have so much to be grateful for and I plan making the time this year to enjoy it all. Happy 2019!